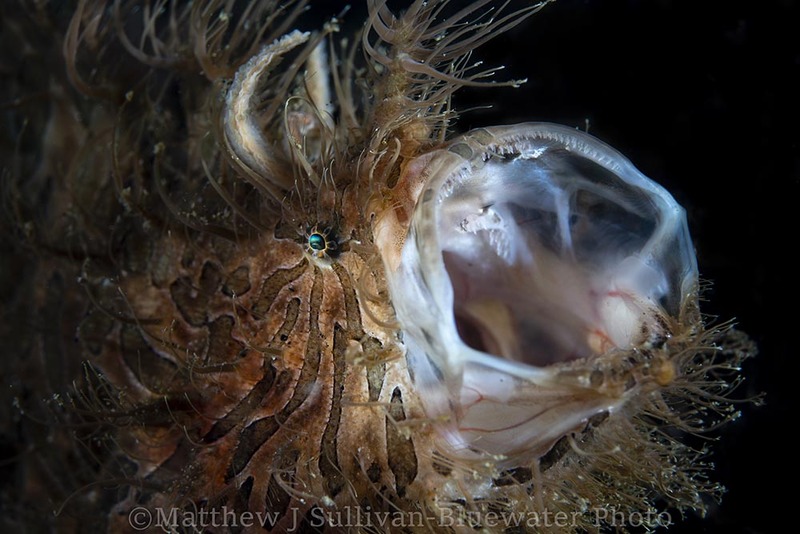 Underwater photography news, including new gear, photo contests, marine life issues, dive destinations and more. It would seem that the L Mount lens alliance between Sigma, Leica, and Panasonic has already made bigger strides than competing manufactures, less than a year after their initial announcement. For anyone eyeing Panasonic’s flagship full-frame mirrorless S series – the S1 and the S1R – it might just be time to take the leap. Sigma’s introduction of the MC-21 converters for Sigma SA mount and Canon EF mount lenses to L mount bodies introduces dozens of additional lenses that can be used with L-mount cameras. In addition to the converter, Sigma has recently introduced 11 enticing L-mount DG ART prime lenses. 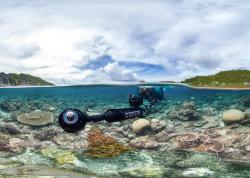 What does this mean for underwater photographers? For now, we can only sit and wonder until all these cool new gadgets are shipped for the first time in April 19, 2019. The Sigma MC-21 converters come in two forms – a converter for Sigma SA-mount lenses to be mounted to L-mount camera bodies, and a converter for Sigma EF-mount lenses to be mounted to L-mount camera bodies. Although this opens up dozens of new options to use Sigma lenses with the Panasonic S Series, the converters are slightly limited in ability. The converters have been lauded to allow for “full lens performance,” this isn’t entirely true. With the converters autofocus works in AF-S mode, and autoexposure, in-camera correction, and image stabilization work in-full. However, autofocus in AF-C (autofocus continuous) mode does not work. This can be a major issue for quick action shooters and videographers. One interesting goodie that comes with the adapter is pre-uploaded data that supports chromatic aberration correction, peripheral illumination correction, and distortion correction. Initially, the MC-21 converter might seem like a godsend to Canon EF mount users. But it’s not. It only has full compatibility with Sigma EF-mount lenses. However, there might be limited compatibility (if any) with Canon EF-mount lenses. So it’s not an encouraging converter for anyone looking to switch from Canon to Panasonic. Initial reports also suggest slow AF and a few other issues with some lenses. A lack of continuous autofocus with the MC-21 is not good news for underwater videographers that frequently rely on continuous autofocus. In fact, for underwater videography, I would recommend using native lenses with the Panasonic S1 and S1R. 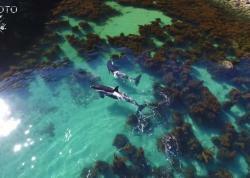 It will also be an issue for photographers that need continuous AF to shoot quick pelagic animals. 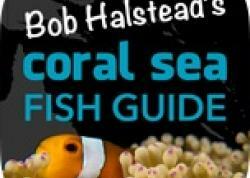 However, for traditional macro and reefscape photographers, this may not be an issue. I, for one, stick to AF-S for the most part, as do many underwater photographers I know. The MC-21 converter is a great purchase if you want to use Sigma EF and SA mount glass on your Panasonic S1 and S1R camera. Is it perfect? Probably not. But it does open up a wide range of existing opportunity for underwater photographers to shoot with the Panasonic S1 and S1R. Two of these lenses stand out to me for underwater photography – the 14mm f/1.8 DS HSM Art and the 70mm f/2.8 DG Macro Art. Yup, that’s right – wide angle and macro! Native wide-angle and native macro. For the Panasonic S1 and S1R this is a really exciting development. The 14mm f/1.8 lens is the first of its kind for full-frame cameras. 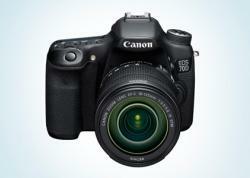 It promises excellent low-light performance and bokeh. And though bokeh is unusually in wide angle imagery, it could prove quite interesting in close-focus wide-angle underwater photography. 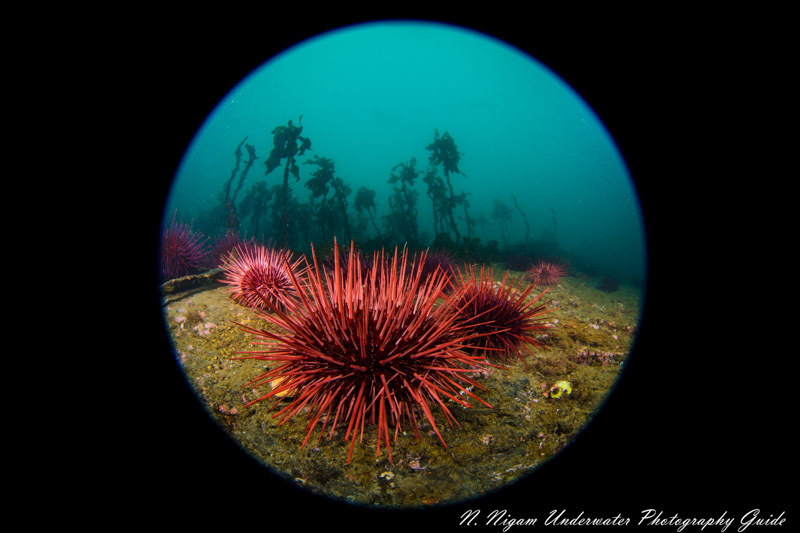 Though it’s not a fisheye, it’s an ultra-wide lens, yielding excellent potential for wide angle underwater photography. There is one issue: the lens hood appears to be non-removable, and thus likely will not be compatible with most ports. The 70 mm f/2.8 lens sounds like an excellent choice for macro photographers. At f/2.8, it’s a fast lens, and sounds like it will have a lot of capability. Promising slightly more working distance than a 60mm macro, it could be a great choice for middle ground macro photography of subjects that are somewhat spooked, but not as bad as something like a mandarin fish. I think the introduction of these ART L-mount prime lenses is actually more exciting than the MC-21 converters. 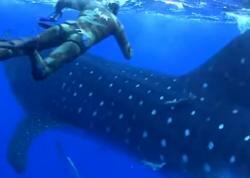 There are some real contenders for underwater photography here. However, there is no telling which lenses will be useful until port compatibility comes out for these lenses and housings that house the Panasonic S1 and S1R. If you thought the Panasonic S Series looked like a good choice because of the L-mount alliance – this is a first demonstration of the partnership. Although the MC-21 converter has its limitations, it already makes the Panasonic S1 and S1R competitive in the full-frame mirrorless playing field. 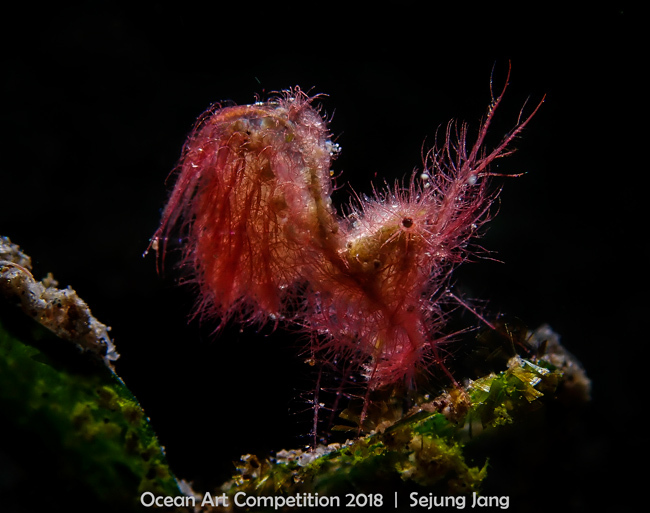 The Sigma Art prime lenses could be even more exciting for underwater photographers depending on compatibility with future housings and ports. Time will tell if the Panasonic S-Series is ready for underwater use, but for now, it seems like it just might be. The Nikon Z6/Z7 is Nikon’s flagship camera of the decade. 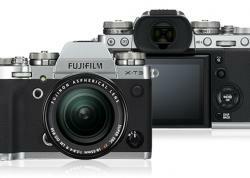 It’s their first set of full-frame mirrorless systems, and the first systems compatible with the new Z-mount. So Nikon was understandably consciences when it came to complaints about the Z6/Z7 – especially concerning the autofocus. Though we felt the autofocus was top of the line when we took the Nikon Z7 underwater, some took to the internet to complain about AF performance – claiming it wasn’t as good as the Sony A7R III. Indeed, we were disappointed that Nikon left out its 3D AF tracking, but still the Z7’s underwater lowlight AF capability was quick, snappy, and highly functional. Well it’s about to get even better with Nikon’s May 2019 firmware updates for the Nikon Z6 and Nikon Z7. Overall, the Nikon firmware update is a direct response to concerns raised by consumers, and they did a good job addressing them. For underwater photographers, a few of these updates will not be too useful, whereas others will be very welcome. The Eye-Detection Autofocus function will likely work only with human subjects. 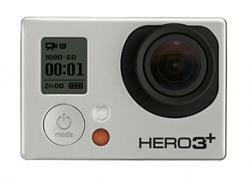 This makes it useful for portrait and street photography but not so much for wildlife photography. It’s important to note that Eye AF will be available in both AF-S (single AF) and AF-C (continuous AF). Though it won’t function as well as tracking, it will be sufficient for photographing people in most circumstances. 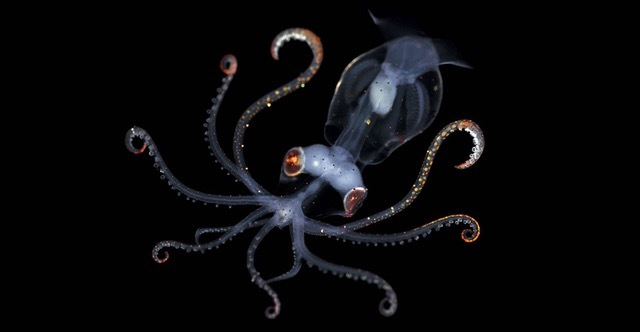 Improved low light autofocus is the big one for underwater photographers. 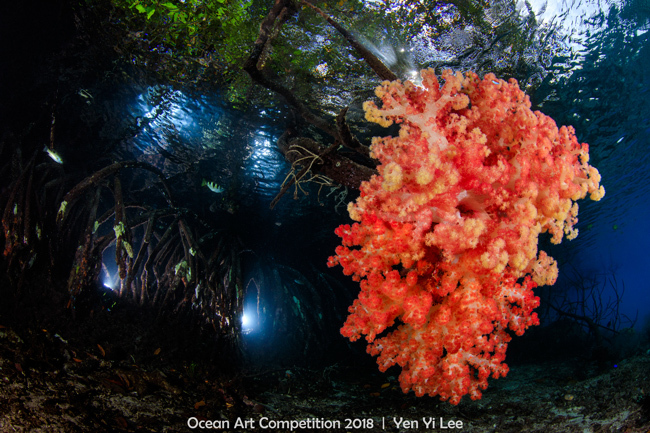 As most underwater photography is in low light situations, improved low light autofocus could mean the difference of capturing the perfect shot and missing it entirely. It could also be the update that pushes a photographer on the edge about purchasing the system to choosing it over the Sony A7R III, Canon EOSR, or maybe even the Nikon D850. I certainly hope the update closes the gap. 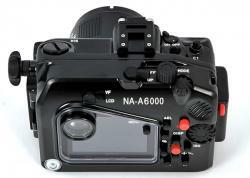 Auto exposure tracking in the continuous high-speed mode, could be an interesting update for underwater photography. 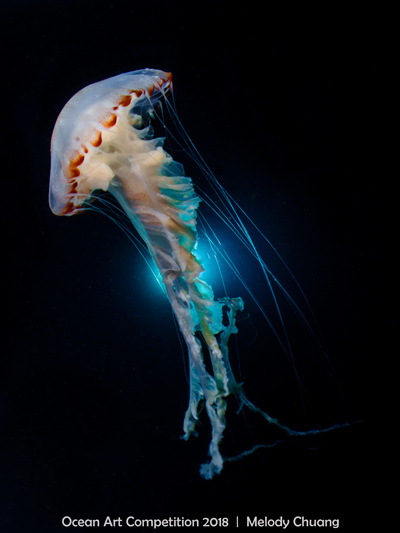 It depends on how well it works with strobes that have high sync speeds, or if it performs well in the ambient lighting conditions frequented by pelagic shooters. Overall, I think it’s something to think about and experiment with if you’re into shooting sharks, dolphins, whales, and other big creatures. The update for compatibility with CFexpress cards in the XQD slot is a welcome update for people wishing to use that standard of card. The durability and storage ability (up to 1TB!) of this kind of card is certainly exciting. Nikon certainly didn’t leave out underwater videographers when announcing their updates. Support for 4K and full HD RAW video output through HDMI to an external recorder is awesome. 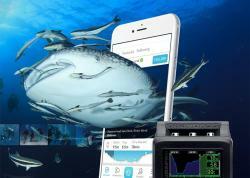 It will give underwater videographers the freedom to work with 12-bit colors for powerful color grading capability. Improvements to low light autofocus will, of course, be appreciated. Especially by underwater photographers already happy with the full time autofocus movie mode. 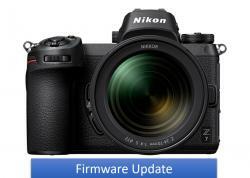 Nikon’s May 2019 firmware updates for the Z6 and Z7 might just be what the flagship system needs to win over skeptics. Directly addressing input from the consumer, Nikon has updated the autofocus, added Eye AF, increased card slot compatibility, introduces AE tracking, and allows for RAW video output over HDMI. The direct implications for underwater photo and video are exciting and make the Z6 and Z7 an even more competitive camera. There is no doubt that the Sony A7R III and the Sony A9 are two of the world’s most popular cameras for underwater photography. Likewise, many underwater photographers are bound to be excited by the news of multiple firmware updates in 2019. These updates will introduce new capability to both systems. It seems the updates to the Sony A9 will have significant benefits for underwater photographer whereas the updates to the Sony A7R III introduce more goods for topside shooting and some for underwater. One thing is for sure – there are huge perks to living in the digital age. Who would have thought you could have a new and improved camera from a simple click of the “download” button! Even before the firmware updates, the Sony A9 is already known for it’s ultrafast shooting speeds of up to 20 fps (5fps w/ mechanical shutter), 241 RAW image buffer, and high performing autofocus tracking. It’s the perfect camera for wildlife photographers looking to capture quick action (e.g., underwater photographers capturing waves, sharks, bait balls, dolphins, etc.). An updated real-time autofocus tracking mode based on artificial intelligent algorithms means an even higher performing camera. These AI algorithms will consider color, subject depth, pattern, and spatial distance. The subject’s eye will also be tracked in real time with the AI-AF technology. 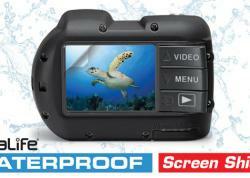 If it works well than this is a huge benefit for underwater photographers looking to capture quick action underwater. Essentially, the camera should be able to lock on to an animal’s eye and track it in real time while take burst shots of up to 20fps (without strobes)… every wildlife photographer’s dream! 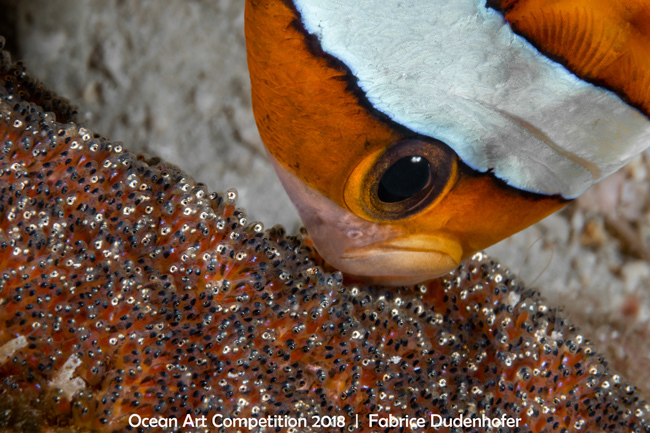 Beyond the improvements in tracking, an extended phase-detection AF range for smaller apertures will be much appreciated by macro underwater photographers. Better color reproduction is, of course, welcomed by everyone. Initial reception of the Sony A9 was mixed for underwater photographers, as many preferred the Sony A7R III. These updates could be what pushes the A9 deeper into the underwater realm. The Sony A9 is available now at Bluewater Photo! The firmware updates for the Sony A7R III/A7 III are exciting, but not as much as with the Sony A9. However, real-time eye autofocus should work with animals! 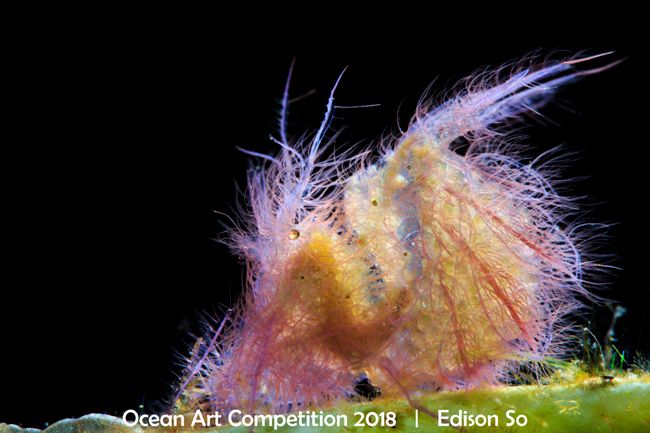 If it works properly with underwater creatures, this could be a huge deal for underwater photographers. Traditionally, the Sony A7R III’s autofocus has not been as good as DSLRs like the Nikon D850. If eye AF works for animals, this would put the A7R III in the range of competing with the AF capability of the D850. However, I don’t know if this new eye AF would be enough to compete with the D850’s 3D AF tracking mode. It probably wouldn’t push me to pick the A7R III over the D850. It does give the A7R III an edge over the Nikon Z6/Z7 that was recently released and does not have 3D AF. Easy time-lapse with more sensitive exposure changes will be appreciated by many topside photographers. The Sony A7R III is available now at Bluewater Photo! One lucky diver will win a 7 night trip aboard the Solomons PNG Master! Compete in our Instagram competition for a chance to win! 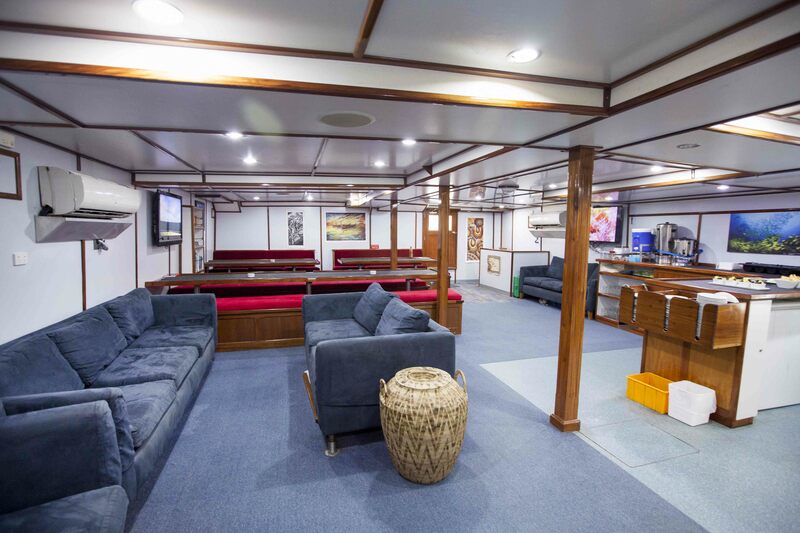 Solomons PNG Master (previously known as MV Taka) is a custom designed diving vessel with 12 cabins accommodating up to 20 guests and a crew of 12 including your dive team, skipper, boat crew, and chefs. 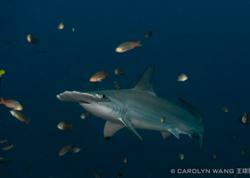 See more details on the Solomons PNG Master liveaboard. Solomon Islands is THE destination for the real diving fan looking for a change of scenery, completely off the beaten track. You will also find: wrecks, caverns, wide-angle reefs and large sea fans. 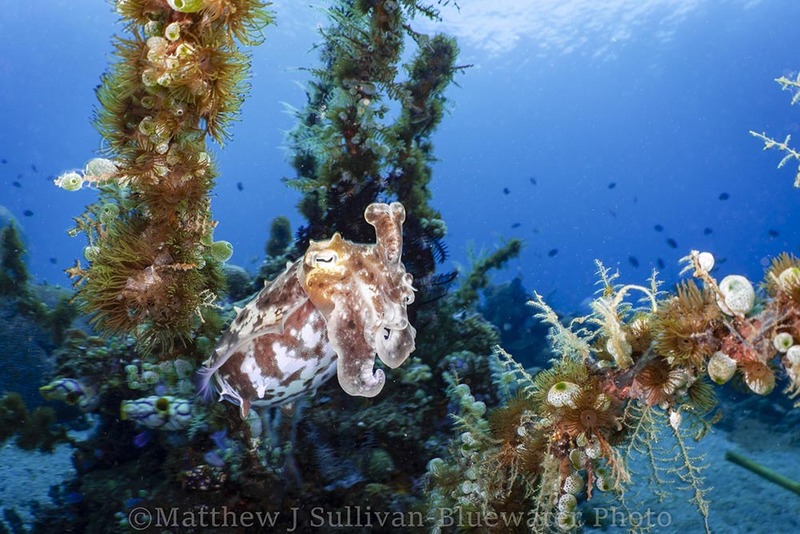 PNG dive sites are so pristine and remote that new marine species are still being discovered. Pretty much anything can be spotted here: hammerheads, whale sharks, mantas, dolphins, and pilot whales. This year the DEMA tradeshow came back to Las Vegas, NV, and featured dive industry (and underwater imaging companies) presenting their latest and greatest products. We covered the DEMA news along with Bluewater Photo to give you an inside look at new lights, housing, and other awesome underwater gear coming out this next year! 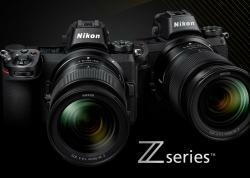 Nikon entered the mirrorless market with their announcement of the new Z-series in Autumn, 2018. It was certainly a long time coming, but it looks like Nikon has delivered with a full-frame sensor, built in 5-axis image stabilization, and a new lens mount supporting apertures as wide as f/0.95! The Nikon Z7 features 45.7 MP and the Nikon Z6 features 25.4 MP and a significantly lower price tag. Although lens options seem a little limited in the early development stages of Z mount lenses, underwater housing manufacturers were especially quick to introduce their products! So far, all housings seem to be compatible with both the Z7 and Z6. Known for high-quality housings that can spend a little time in the development stages before release, Sea & Sea was particularly quick to come out with their Z7 housing! The housing features trim colors, luminescent buttons, a smaller size than other Nikon full-fram housings, and a dual lens gear system – one for Nikon Z lenses and another for Nikon F mount lenses with an FTZ adapter. 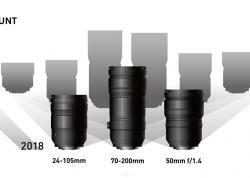 This opens up a wide range of lens options at a time where Z-series lenses are still developing! 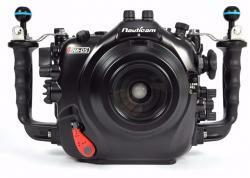 Nauticam, the Ferrari of the Underwater Housing business, has also released its Nikon Z7 housing. 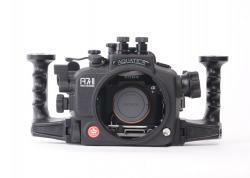 The The Nauticam NA-Z7 housing offers full control of the camera and full support with both native Z lenses and F lenses with the FTZ adapter. As with all Nauticam housings, all the camera’s essential controls are within easy reach of the rubberized handles. Ikelite is the king of budget housings. As usual, Ikelite’s Z7 housing is polycarbonate, easy to use, and offers full control of the camera. 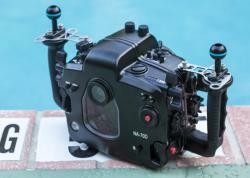 Two cool features on the Z7 housing include an M16 port for external monitors, and a trim rail to help with buoyancy. Aquatica is known for their quality housings machined from a block of aluminum, then anodized and powder coated. Although they have not yet announced their Aquatica Z7 housing, their Sony A7R III and Nikon D850 housings looked excellent! The Aquatica A7R III Housing and Aquatica Nikon D850 Housing are available now at Bluewater Photo! Although GoPro put on the biggest presence at DEMA of almost any other business, save PADI, Paralenz seems to be the next new thing in portable underwater videography. 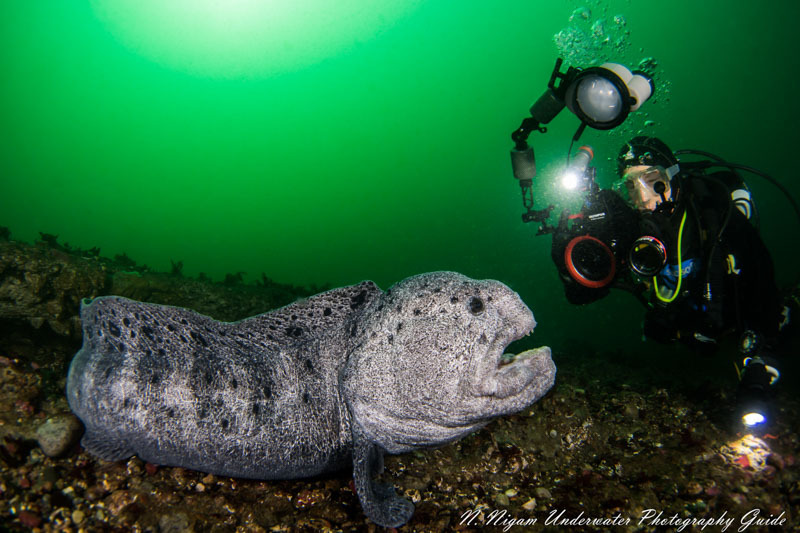 Paralenz, a small company based in Denmark, has perfected the Parlanez Dive Camera through multiple trial runs with groups of divers to feel for their interests. With a small cylindrical shape, the camera is made to be used almost like a flashlight. A snap record mode allows you to take photos with the press of a button or push and hold to record video – no need to switch between modes and worry that you’ve stopped recording. But perhaps the coolest thing about the Paralenz is that it will correct for white balance in-camera based on the depth that it senses. No more filters! 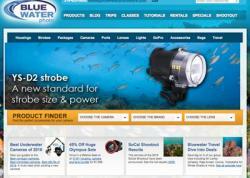 The Parlanez Dive Camera is available now at Bluewater Photo! Sea & Sea added space for a buoyancy pocket which increases underwater buoyancy, making the housing lighter and easy to use. It can also be used as space for an additional battery pack! This is welcome for the Sony A7R III – a camera with limited battery life. The Sea & Sea A7R III Housing is available now at Bluewater Photo! Sea Dragon 3000F video light ($499.95) – Sealife announced its Sea Dragon 3000F photo-video light! We can expect 3000 lumens throughout its 1 hour burn life, 120 degrees of illumination, flash detect, auto brightness, two red LEDs, and a flex connect system. New Kraken Wide Angle Dome for Smart Housing – Kraken is announcing an amazing new wide-angle dome port for its universal smart phone housing! It will be officially announced February 2019 and should be available for under $300. 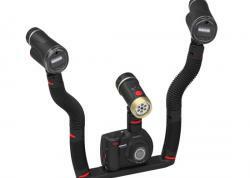 Snoot Light – Kraken announced a new snoot light with multiple filters. It can be used as a focus light when the tip is removed! The Kraken Snoot Light is available now at Bluewater Photo! This year at DEMA, Light & Motion announced their new push to transition their lights to hybrid underwater/above water usage. 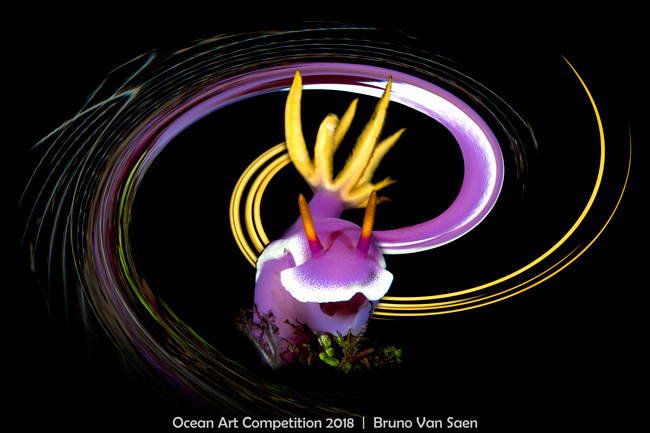 This is certainly an exciting development in underwater lighting, especially to underwater photographers who also like to take the occasional photo above water. They’re also offering a new guarantee that lights will not flood for the first 2 years. 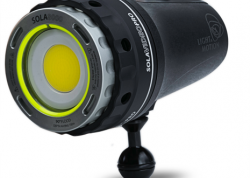 Light & Motion are offering two new hybrid lights – the Stella 1000 and the Sola Video Pro 9600. Stella 1000 – The Stella 1000 features 1000 lumens of illumination above water with 2-3 minutes burst of 2500 lumens. Underwater the Stella 1000 can perform at 2500 lumens for an hour. Sola Video Pro 9600 – Above water, the Video Pro 9600 can produce 5000-8000 lumens and 9600 lumens underwater. SolaDome Port Optic – Light & Motion is also introducing a dome port accessory that screws on to the front of your Sola light to increase your degree of illumination from 90 degrees to 110 degrees! The SolaDome Port Optic is available now at Bluewater Photo! Sony RX100 VI Housing – Fantasea is featuring their new Sony RX100 VI housing. The Fantasea Sony RX100 VI Housing is available now at Bluewater Photo! And the coolest, newest, and quirkiest award goes to….Natuicam! 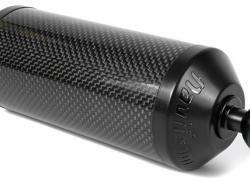 Nauticam introduced their new bugeye macro lens this year at DEMA. It’s a behemoth as you can see in the photo below. However, the lens’s sheer size is necessary to produce amazing macro, fisheye photos that resemble how an image might look to a bug. Basically, close-focus wide angle can now be done on a macro scale! 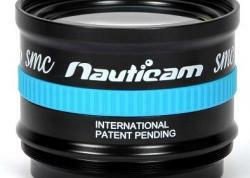 Nauticam MWL-1 – Another exciting development was the release of the macro to wide angle wet conversion lens. This lens is designed to allow DSLR and other interchangeable lens shooters the freedom to shoot both macro and wide-angle photos in the same dives. It converts a full frame 60mm macro lens into an ultra-wide 150-degree wide-angle lens! 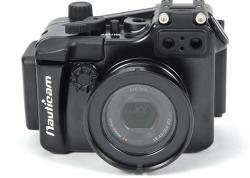 The Nauticam MWL-1 is available now at Bluewater Photo! We'd like to thank all of our partners for coming out to Las Vegas and speaking with our editors at UWPG. We had a great time and look forward to seeing everyone next year at DEMA 2019! Australia, 13 February 2019 - Get ready for an evening of inspiration, adventure and discovery. 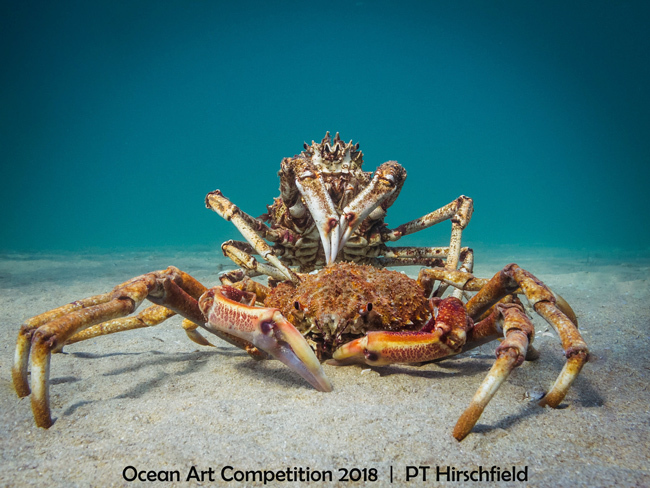 Joint founders of the annual Underwater Tour, Juliette Myers and Tim Hochgrebe have curated a stellar international line-up of underwater photographers for this year’s nationwide touring speaker event series across Australia. 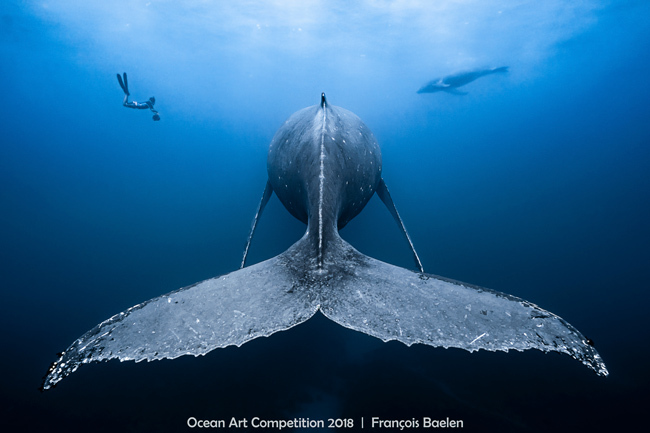 LIVE on stage 9-14 May, David Doubilet, Jennifer Hayes and William Tan will showcase extraordinary images and share stories of discovery from behind the lens. 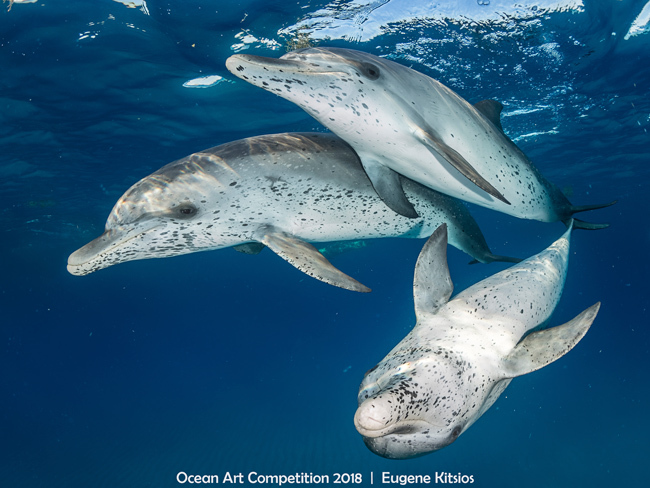 Doubilet and Hayes, National Geographic legends and undoubtedly the world’s most recognisable and inspirational ambassadors of the oceans, are on their way from upstate New York to Australia to keynote the Underwater Tour 2019. 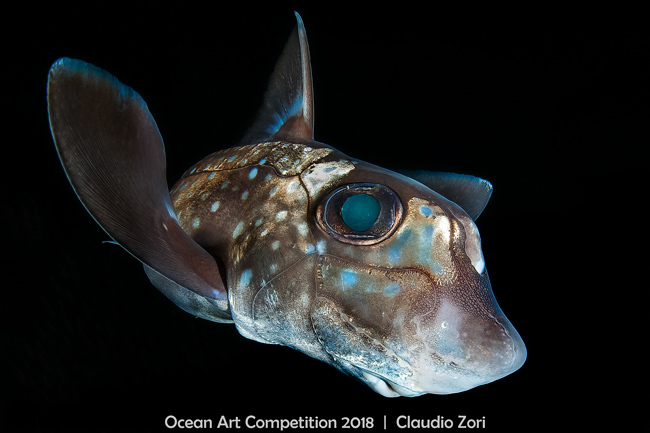 Logging 26,000 and 11,000 hours beneath the surface respectively, it’s no wonder they have earned their place as revered underwater photographers and international treasures. 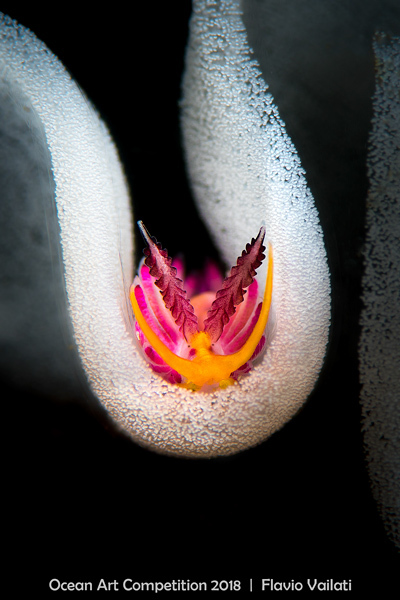 Doubilet’s 75 plus feature publications with National Geographic document the diversity of marine environments - from equatorial coral reefs to life beneath the polar ice. Feature presenter of National Geographic Live, a columnist, contributing editor and author of 12 books, he is the recipient of many international prestigious awards including The Academy of Achievement Award, The Explorers Club Lowell Thomas Award and The Lennart Nilsson Award in Scientific Photography. 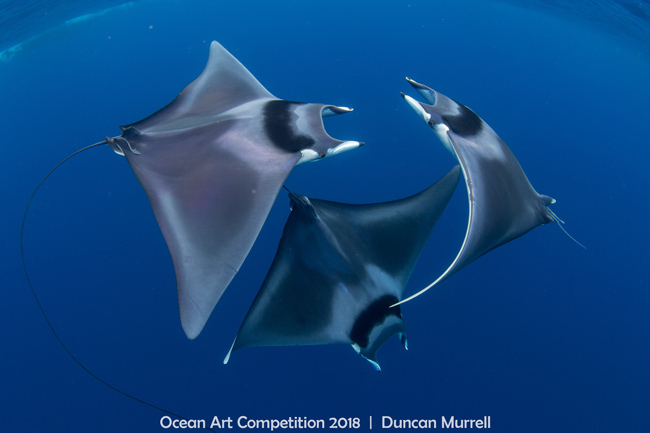 Doubilet is a member of both the Royal Photographic Society, International Diving Hall of Fame and founding member of the International League of Conservation Photographers. 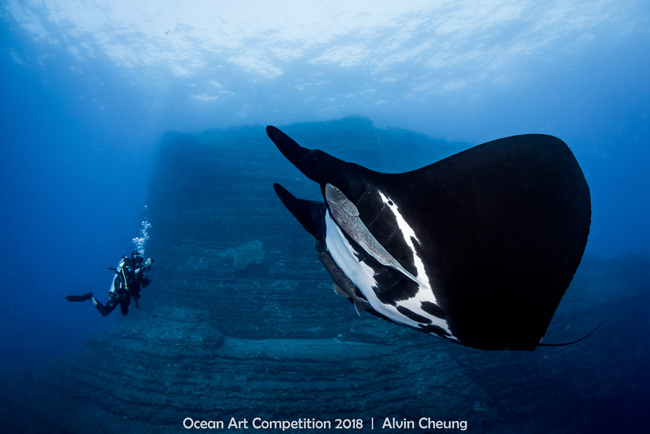 Hayes’ photography and journalism is underpinned by her marine science background and focus on science communication and conservation of endangered species. 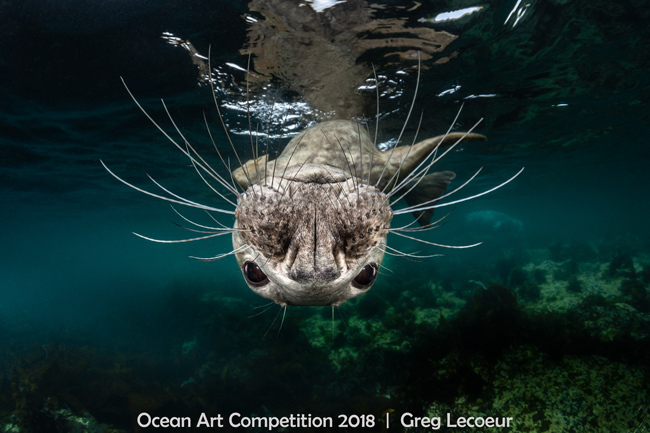 Her current work includes documenting the global status of UNESCO World Heritage Site coral reef ecosystems at risk of climate change, exploring the science and solutions to restore North American sturgeon populations and documenting harp seals as a Face of Climate Change in the Gulf of St Lawrence as their birth ice disintegrates beneath them. Who knew Hayes is a pilot with a passion for vintage planes? She is the recipient of the Presidents Medal for natural history, a trustee of the Shark Research Institute and Explorer Club National Fellow. 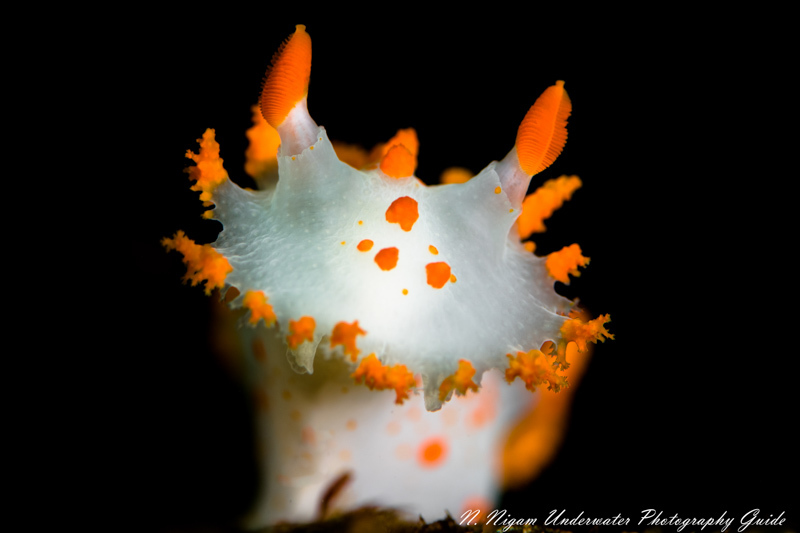 A pioneer of the blackwater macro underwater photography niche, William Tan is truly the Master of 'blackro'. 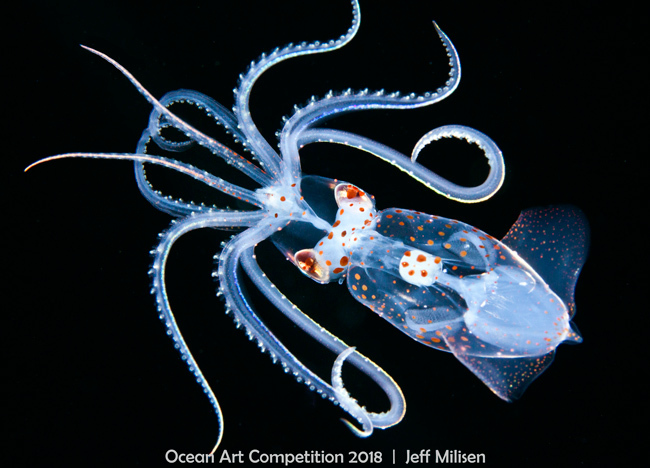 Tan captures images of the phototaxic movement of plankton and wonderfully bizarre marine critters in their nightly vertical migration from the deep or mid-water column to the shallows. A violinist with the Singapore Symphony Orchestra, between concert seasons, he leaves his prized antique Italian violin at home while diving throughout the Pacific region. 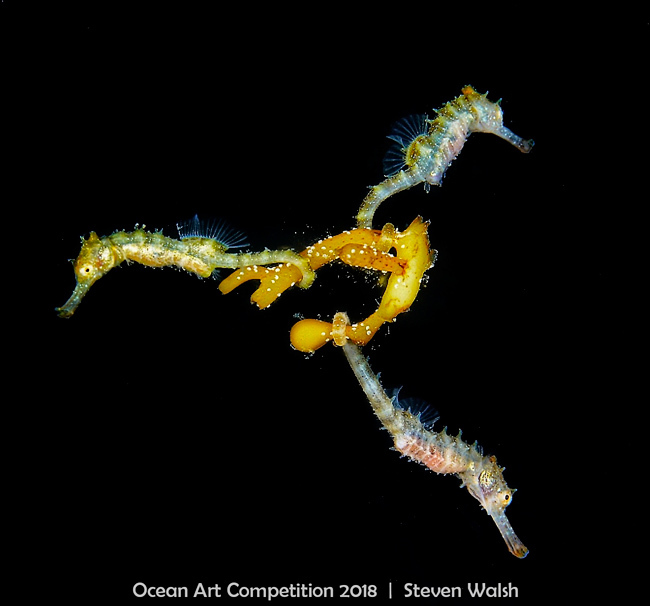 A world previously exclusive to scientific academia, if you've seen everything and dived everywhere, William’s blackro images are guaranteed to pique your curiosity and have you wanting to set out on new adventures. The holidays can be the toughest season to be an Underwater Photographer - especially if you're in the market for a new camera system. With underwater photography equipment being a niche market built for very precise needs, it can be hard to find the right holiday deals. In partnership with our sister company, Bluewater Photo, we have created a holiday gift guide to help you navigate this holiday season's specials for underwater photography. If you're looking for holiday gifts for an underwater photographer or some great deals for yourself, this guide is definitely worth checking out. Check out a full list of holiday specials at Bluewater Photo! 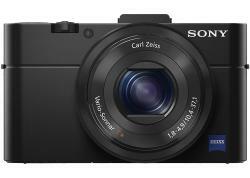 Sony RX100VI - Premium compact camera with improved image quality, auto-focus and image stabilization for high quality underwater photos, and a new 200mm full frame equivalent zoom for great topside versatility. Nikon Z7 - Nikon's first mirrorless camera, with a full-frame 45 MP sensor packed into a mirrorless-sized body. Check out the UWPG pre-review for more info. Canon EOS R - Canon's first full-frame mirrorless camera, with a 30 MP sensor. Priced a bit above the Nikon Z6, but below the Z7 and the Sony A7RIII, it's another interesting option with a claimed ability to autofocus down to -6 eV. Check out Bluewater Photo's announcement for more info. Nauticam macro to wide angle lens - Interchangeable lens shooters take note! Nauticam just released an extremely innovative wet lens which converts a 60mm full frame equivalent macro lens into a wide angle lens with 150 degree angle of view. Now you can switch between macro and wide angle underwater, within only a few seconds! Olympus OM-D E-M5 Mark II Bundle - The perfect option to enter the world of mirrorless interchangeable lens cameras without breaking the bank, and save $700 when buying the package. Just add the renowned Olympus 60mm macro lens or an 8 mm fisheye lens and port, and you will be all set to take very high quality underwater photos. 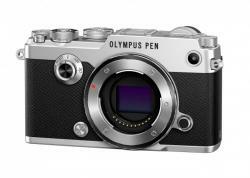 Olympus TG-5 Packages - The Olympus TG-5 is the little compact camera that could. Along with providing solid image quality and 4K video, at a very affordable price, it excels at taking macro photos with its phenomenal microscope mode. Check out our detailed UWPG review here. We even have a great article from a seasoned DSLR macro shooter who brings a TG-5 along with his DSLR to take photos of extremely small, hard-to-reach subjects. iTorch Symbiosis Pro Strobe with Video Light - A great strobe with a built-in video light on top, simplifying your rig, adding versatility, saving you space and reducing your mount requirements. Plus it's $200 off! 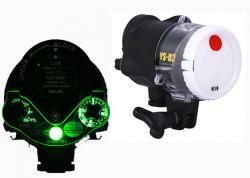 Sea & Sea YS-D2J Strobe - the latest version of the classic standby. Comes with a free 4-pack of Eneloop Pro rechargeable batteries. Olympus 8mm f/1.8 fisheye Pro lens - the best fisheye lens for micro-four-thirds, allowing for dramatic wide angle photography, in a compact and weatherproof package. With a maximum aperture of f/1.8, it is also great for star photography. $150 off. Kraken Universal Smartphone Housing with Depth Sensor - Works for both android phones and iPhones, and includes a vacuum leak detection system to protect your phone from flooding. The perfect option for the person who loves taking photos with their phone but doesn't want the bulk or expense of a larger camera system. 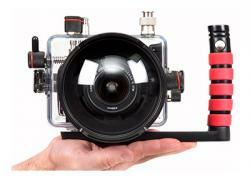 Kraken Sports KRL-02 Wet Wide Angle Lens - Shooting a compact camera like the TG-5 or Sony RX-100? Take stunning wide angle photos with the 150 degree field of view provided by this excellent lens. $150 off. GoPro Hero 7 Black - The latest GoPro model, with improvements over the already excellent 6. 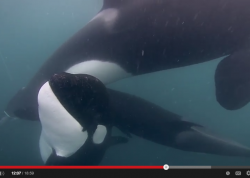 The ratio of video/image quality to size/cost beats any other underwater camera, hands down. There is a reason so many people use GoPros underwater - they are tiny, super easy to use, and capture great videos with no hassle. Light & Motion 2500F Video Light - Small and compact video light which produces a wide, powerful and even beam for great video color. Factory sealed so you don't have to worry about flooding. $134 off. Bluewater Photo 1000 Lumen Focus Light - Bright and wide white light in a compact body, along with a red mode for skittish subjects. Also comes with a "snoot" attachment allowing for creative lighting options. Thinktank Camera Bags - Roller bags and backpacks designed for underwater photographers. They provide padding and protection for all of your gear and fit most carry-on requirements. AO Cooler Bag - An affordable and very convenient padded bag for your camera rig, which fits as carry-on, protects your gear on the dive boat and doubles as a convenient dunk-tank for cleaning your gear after diving. Bluewater Camera Care Kit - Useful accessories to keep your camera kit in great shape. Bluewater Photo and Bluewater Travel have released a secret preview of their upcoming Black Friday sales and discounts. If you're an underwater photographer or videographer, then this is a sale you cannot miss. Check out the full list of specials at Bluewater Photo! Bundles - up to $1,144.93 off! Be sure to check out all the discounts when they are announced on Thanksgiving, 2018! More information can be found on the Bluewater Black Friday Sales page. Be sure to check out all the discounts when they are announced on Thanksgiving, 2018! More information can be found on the Bluewater Dive Travel Black Friday Sales page.